Yes, I'm always on a mission to eat healthier, lose a few pounds, exercise more, and just be more active in general. Will I be perfect? No! Here's why. We have to give ourselves permission to live and not deprive ourselves or we will never be successful. Moderation is our friend and key to success with healthy living. 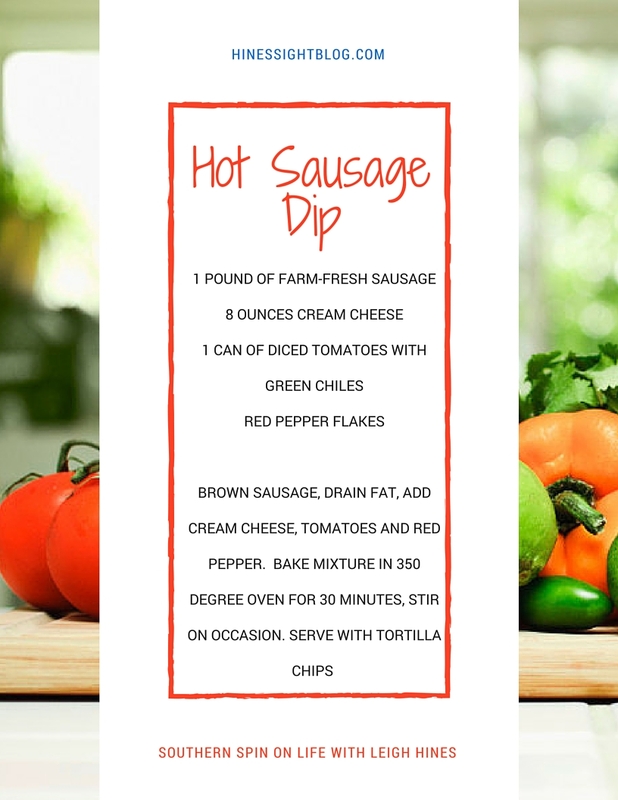 We usually attend a SuperBowl party yearly, and I plan to take this hot farm-fresh sausage dip this year. No, it's not low-calorie, but it's extremely delicious and great for a party. I'm not taking it to a party and not having some of it. I give myself permission to enjoy myself, and I will be also having a beer or two at this party, and will then go back to my goals the next day. If you want, you can easily use fresh tomatoes and green chiles instead of a can version. Enjoy!